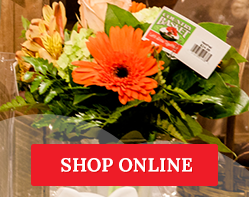 Country Basket Flower Boutique in the heart of Niagara is your one-stop-shop for all your floral needs. Please give us a call or drop by anytime! We are conveniently located inside the Country Basket Garden Centre on Lundy's Lane in Niagara Falls.